A year ago today, Kaitlyn Stavinoha was struggling. After going 0-for-3 against Hofstra on March 17 of last year, Stavinoha’s batting average sunk to .215. 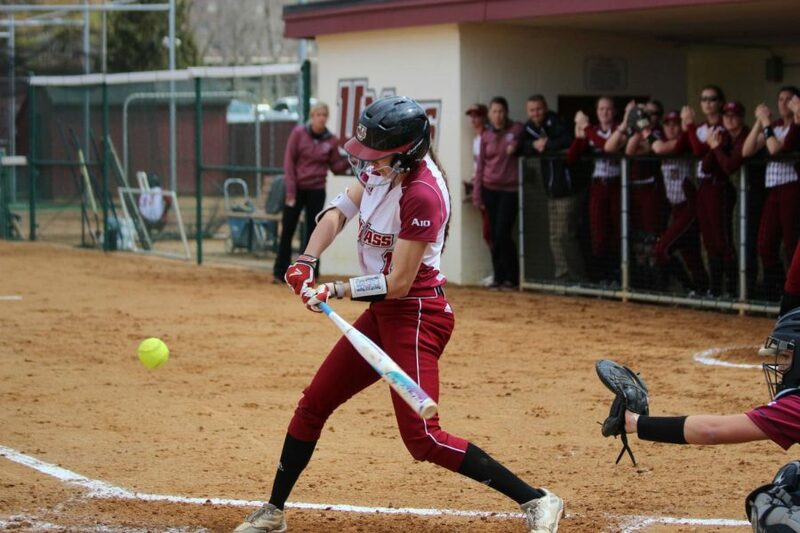 She’d driven in just seven runs through the first 20 games of her junior year and a season removed from an excellent sophomore season, she’d been dropped to sixth in the lineup, at times hitting seventh or eighth. Senior year has been a different story. Stavinoha is hitting .377 through 22 games for the Massachusetts softball team, solidifying her spot in the heart of the lineup as she’s hit third for the Minutewomen all season. With UMass (10-12) needing to fill the power vacuum left behind by Jena Cozza’s graduation, Stavinoha has done just that. Affectionately known to the team as Flick, the senior shortstop has already knocked in 15 runs, slugging .652 — nearly 300 points better than her slugging percentage in all of 2018 — with two homers thus far. “First and foremost I think that Flick has stepped up really big for us in [replacing Cozza],” said UMass coach Kristi Stefanoni. “Kaycee [Carbone]’s been coming around which has been really great, but a lot of people have asked, and did ask before the season started, how we were going to replace Jena and who was going to do it. I’ve thrown out a couple names and obviously Flick and Kaycee were [two] of them. Stavinoha’s early tear isn’t all that surprising; after all, she was an Atlantic 10 All-Conference First Team shortstop a year ago, despite the early season struggles. But she’s been even better in 2019 than she was in the back half of 2018, largely thanks to a little mindset change. Stavinoha’s offensive numbers are eye-popping — her batting average is 65 points higher than the next best Minutewoman, her slugging percentage is 63 points better than Carbone in second and she also leads the team in a score of other offensive categories, as she took home an A-10 Player of the Week award for her accomplishments at the Purple and Gold Invitational in North Carolina in early March. It’s the stretch run for UMass’ No. 1, who’s consistently been one of the best middle infielders in the A-10 since she arrived in 2015. As most seniors do, she’s already gone through her own impending graduation crisis, and is dealing with it as best she can. “I’ve had [a crisis] already. I had it when we came back before doubles, I was driving back here from the airport listening to Hannah Montana and crying in the car so, yeah, we’ve had it,” she said.